The six remaining teams race for $300,000 in the final challenge as the 21st season comes to a close; Competitors learn that the final challenge is a multi-day event. Wow MTV was really promoting this final! Im excited for the finale even thought CT lost, but I still like Mike and Leroy. I hope they beat out the other two ******* teams. 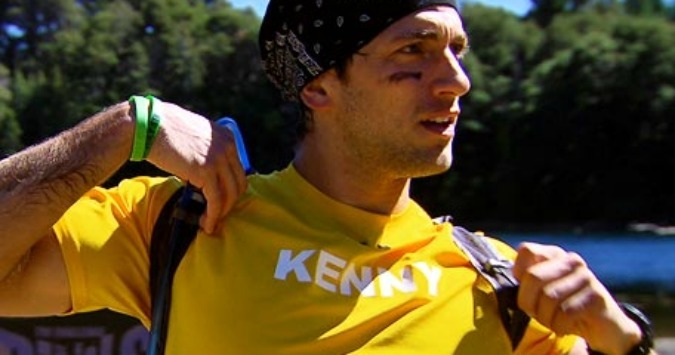 I really would love to see a challenge where the contestants didnt get kicked off if the got in a fight because I gurantee Wes, Kenny, Johnny, etc would not act like such tough guys when they are around CT. They hide behind the fact that if he hits them he is gone, but if the rules were different they wouldn't be so mouthy. [QUOTE=producer88;273150]Wow MTV was really promoting this final! [/QUOTE] Well it definitely looks like [strike]the most ridiculous[/strike] the hardest final to date. Aww, they named it Rocky. Kenny, Wes don't work together well do they? This finally is actually pretty interesting. Cutthroat's final was just random and lame. I'm really liking this memorization part. Brings back part of that one challenge from one of the Inferno's when they had to memorize that room. The Island, Fresh meat 2 and what other challenge Paula made it to the end? [QUOTE=Nightwolf;273164]Inferno 3, Gauntlet 3, and The Island[/QUOTE] Damn I was off. I could've sworn FM 2 was listed in the flashback hence me saying that. wow. [QUOTE=jojorules;273167]I know, just pointing out how they are the worst girl team, until they prove something[/QUOTE] I know, which is probably why they are currently in last place for the girls. Wes is ridiculously stupid putting those rocks in his socks. I love the physical final challenge, but they should take it down a notch. [QUOTE=fabulous788;273171]Wes is ridiculously stupid putting those rocks in his socks. [/QUOTE] Especially since he's wearing a freaking backpack while he's doing it. [QUOTE=fabulous788;273175]I like the mental side way better. The finals used to be more leaned toward the mental side and it's way better when they have to prove that they can do mental activities :D[/QUOTE] I know that's fun, but physically it's too much! Mike Mike outsmarts everyone once again. LOL at Wes putting rocks in his socks. That is some elementary school type of thinking.